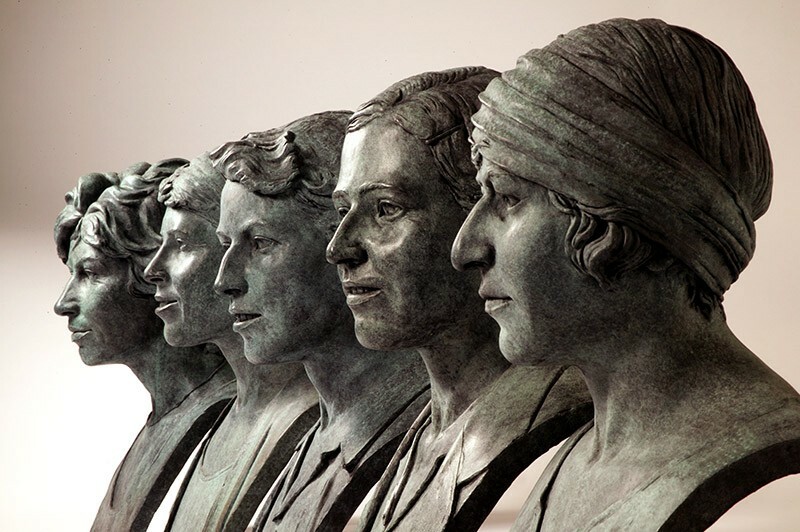 A series of portraits of the All England Lawn Tennis Club Lady Champions. These are situated outside the club house entrance at Wimbledon. Kathleen McKane Godfree 1924 & 1926. Dorothy Round 1934 & 1937.